In the introduction to his book, L’Arte Vetraria, Antonio Neri is quite direct about his interest in matters other than glassmaking. Speaking about the potential of chemistry in medicines, he writes, "These are matters of nature to which I believe there is no higher calling in the service of humanity." As the son of a renowned physician, and the grandson of a surgeon, it is not surprising that Neri would be occupied with thoughts of healing injuries and curing disease. In a 1608 letter to a friend in Florence, Neri wrote that he spent time working in Mechelen in Flanders, at the Hospital of Malines, and describes his great success with medicinal cures of Paracelsus, "To the great wonderment of Antwerp." Within the realm of alchemy, it was commonly thought that a substance known as the "philosopher's stone" could be used to cure all disease and perhaps even arrest the process of aging. 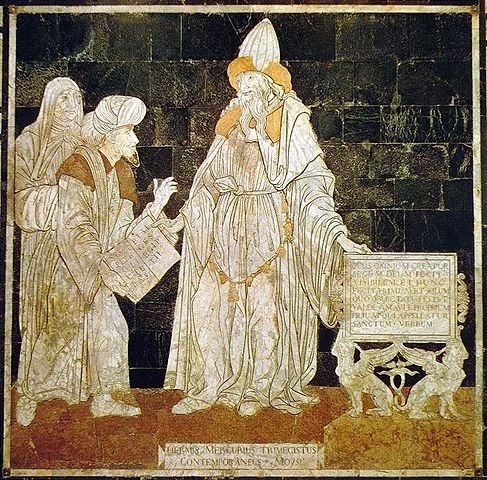 The philosopher's stone was an ancient concept, said to be discovered by an Egyptian priest, Hermes Trismegistus, and then subsequently lost. It was believed to be a substance which manifests such a harmonious balance of the four elements, air, water, earth and fire, that it would spontaneously form a fifth element or "quintessence." Besides curing disease, it was thought to have the power to turn base metals into gold in what Neri thought was the acceleration of a natural maturation process of the metal. In his manuscripts on alchemy, it is clear that Neri studied the work of many famous alchemists. He expresses disdain for those who pursued the stone seeking personal profit, and was convinced that he himself had found the secret. With special material from a mine, the importance of which he did not realize until later, he says he successfully transmuted gold, but that ultimately, the ability for the method to work is determined by divine providence, which he called "the gift of God." Neri held his gold transmutation methods close, but for lesser metals, he did leave us with lucid descriptions. We can see from these, how the subtleties of physics and chemistry conspired to convince honest thoughtful men that transmutation was not only possible, but could be easily verified in the laboratory. In his manuscript Discorso sopra la Chimica, Neri describes his method for turning tin into silver. In the next post, we will take a closer look.